Check out the new clamshells from Abscents! 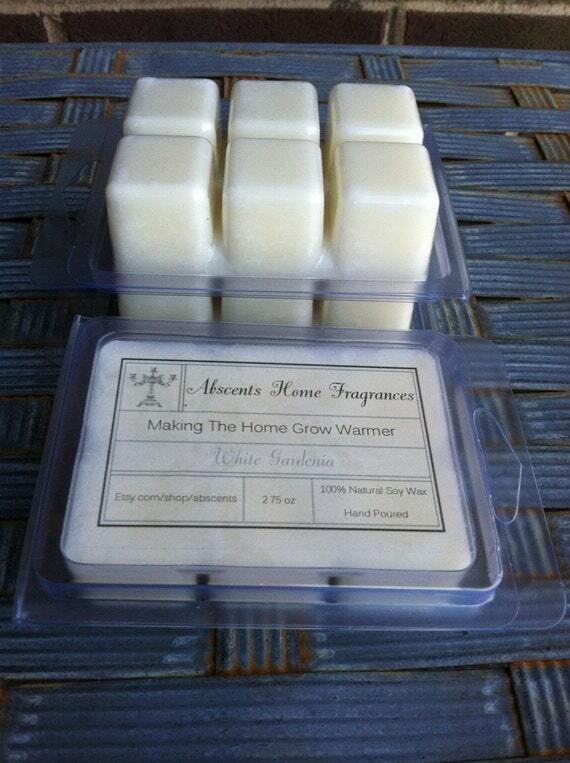 Similar to tarts, you can break off a cube or two and put this in your melter or warmer. Some people prefer to melt their wax rather than burn it, especially in electric warmers, as you can turn it on and not worry about an open flame. Abscents has clamshells available in two fragrances so far, and I’ll be slowly adding to the line. Check out Luck of the Irish and White Gardenia, also available in 12 oz jars! 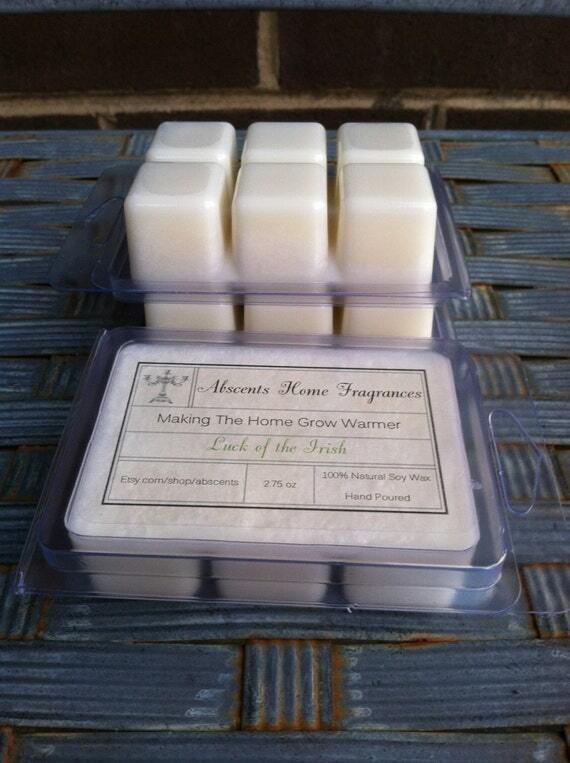 Click on the picture to order yours today and for fragrance descriptions!